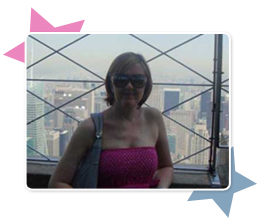 Tracey was in her mid 30’s when she came for an assessment for her severe pain. She is a Mother of 3 children and had been unable to work for the previous 5 months, having to use sticks some days due to the pain which had become increasingly severe over the previous 12 months. She had seen Doctors and a Specialist, who said the only thing left was to send her to the NHS Pain Management Clinic for spinal injections which would help her cope with the pain. Tracey immediately recognised that if her scoliosis (curvature of the spine) was responsible for her pain, then as she had had this since her teenage years it didn’t make sense that this was responsible for her pain. Although she told me she wasn’t aware of her having felt stressed in her teenage years as a result of her wearing a spinal brace, when we discussed this and she imagined one of her children having to wear one, she realised how she had just tried to get on with her life and suppressed how she felt because she realised it wasn’t going to change anything anyway. She took everything on board and through journaling/expressive writing, she managed to identify and address how she felt as a teenager trying to fit in while ‘looking different’ from her peers. She also understood that her fears about her spine and her pain was responsible for most of her pain and in order to test this within days she was bouncing on a trampoline with her children and was back at work soon after. She realised that she then needed to follow the advice given and learn more about the concept of stress-induced pain, as well as working through the underlying causes of her pain. As a working Mother she continues to have periods of stress that she has to deal with, but if occasionally her back begins to ache she recognises it is not the scoliosis that is causing the pain. She is therefore able to work out what is causing her stress and by addressing this she is able to resolve any discomfort within hours.